Transfer Deadline Day: What deals can we expect on Jan. 31? The Exploding Heads try to put a smile back on the out-of-favour players in the Premier League by setting up a charity fund during this transfer window. So, farewell then, Marouane Fellaini. If it hasn't already happened by the time you read this, it seems Fellaini will be the latest Belgian midfielder to seal a move to China, following Mousa Dembele, with Shandong Luneng offering him a three-year contract and, presumably, a massive stack of cash. Will he be missed? Possibly, but Manchester United will somehow struggle on. On the topic of Belgian midfielders, it very much seems like Youri Tielemans will be playing in the Premier League, but for whom? Leicester have been the favourites, a swap deal for Adrien Silva mooted, but there's talk of interest from Tottenham, West Ham, Newcastle and even Arsenal, so who knows exactly where he will end up. 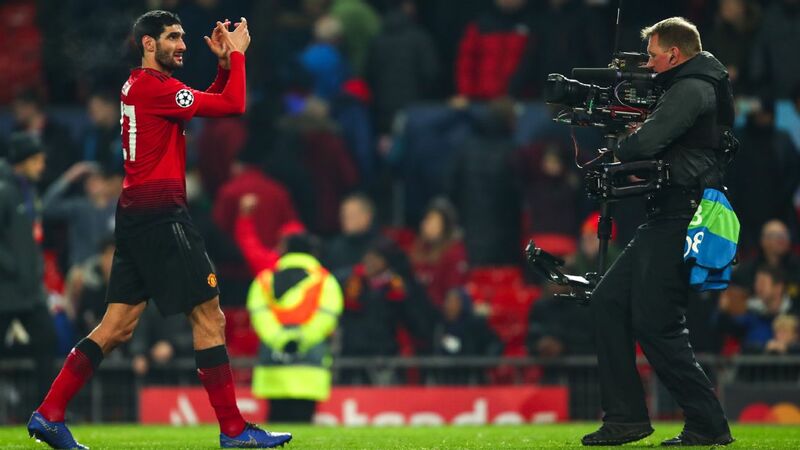 Manchester United fans may have already seen the last of Marouane Fellaini. Newcastle are going to sign someone! Perhaps more than someone! Maybe two, perhaps three -- three! Imagine that! -- players. The long-running Miguel Almiron saga should have concluded before the clock strikes 11 p.m., while left-back Antonio Barreca looks likely to arrive from Milan and midfielder Andreas Samaris could come in, too. The admin department at St James's Park will have rarely seen such action. Huddersfield completed the signing of Charlton's Karlan Grant on Wednesday, but they are still chronically short of goal threat, and a 21-year-old who's never played above League One is not going to solve that problem on his own. Saying 'sign a really good striker' when you're heading for relegation is a bit like telling someone to flap their arms and fly, but Jan Siewert needs someone if he's to have a chance of saving them. The noises coming out of Chelsea are that Callum Hudson-Odoi is going nowhere this month, that they will cling onto their youngster and use the next few months to persuade him to stay in London. But what if Bayern show up with £50m on the table? Or even more? It seems insane money for a teenager who has barely played first-team football, but then again £40m -- the last bid rejected -- seemed like that, too. It could still happen. Where will Idrissa Gueye be playing on Feb. 1? Everton have been staunch about their refusal to sell to PSG, and the French giants' purchase of Leandro Paeredes should in theory lessen the chances of them swooping, but when a team has that much money, you never know. His absence from Everton's win over Huddersfield on Tuesday due to a "knock" was convenient, if nothing else. 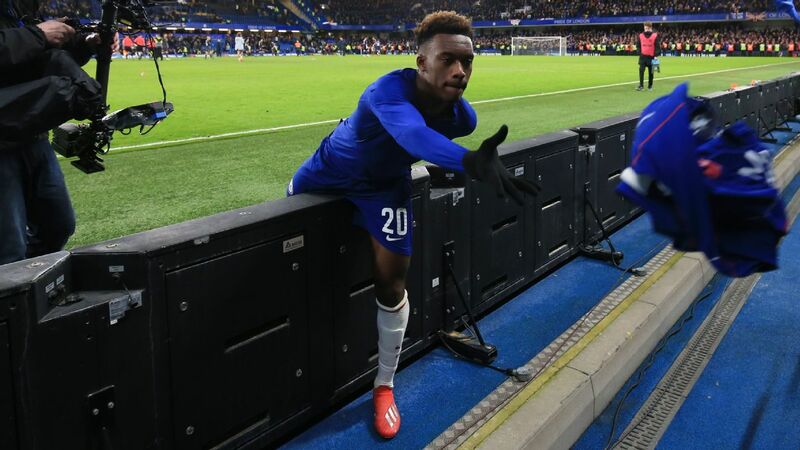 This may have been a parting gesture from Callum Hudson-Odoi to a Chelsea fan. There are a whole clutch of players gathering dust on various benches that really need to find new homes. Matteo Darmian, Gary Cahill, Vincent Janssen, Lazar Markovic and, of course, Danny Drinkwater. Will a guardian angel arrive to save any of them from inactivity? Juan Mata isn't quite in that category, but there's a slim chance he could be on the move. Negotiations continue over his contract, due to run out in the summer, but there has been talk of someone swooping with a little money for him now, rather than waiting until the end of the season. It might turn out to be a quiet window for West Ham after all. At one point it seemed Marko Arnautovic's departure would begin a flurry of activity, but after his enthusiastic declaration that he's staying, plus the prospect of a deal for Maxi Gomez being shelved until the summer, they could end January having only recruited Samir Nasri on a free. Finally, if worrying about playing a football match isn't grimly inconsequential enough after the disappearance of Emiliano Sala, Cardiff may still have some business to do. On some levels you rather hope they don't bother themselves with the grubby nature of the transfer window, but there are tangible realities to consider: Neil Warnock was furious that they missed out on Nathaniel Clyne and they haven't signed a right-back since, so that would seem a priority. At the time of writing, Arsenal's recruits look likely to be a midfielder in Denis Suarez, and a winger in Yannick Carrasco. Fine players both, but it feels a little like a man buying a pleasant new tie and pocket square when there's a large hole in his trousers. In defence they have wide-ranging issues, from the age of Stephan Lichtsteiner, the glacial pace of Sokritis Papastathopoulos, the absence of Hector Bellerin and the presence of Shkodran Mustafi. And yet, there are no defensive incomings on the horizon, which seems odd. Arsenal's defensive problems will not be solved by signing Yannick Carrasco. You can understand why Liverpool aren't that keen on signing anyone. They must be treating their current squad like a man who's just built a house of cards, desperate not to make any unnecessary movements lest it all collapse, but might they have investigated bringing in a little temporary defensive help, what with all their injuries at the back? Of course, the most nailed on thing that won't happen is Tottenham signing anybody. Why would they? It's their thing now. Steadfastly keep exactly the same players until they all gradually decay and bits of them fall off like polar icecaps feeling the heat of global warming. Deadline day will represent the one-year anniversary of their last permanent signing: perhaps they will let Lucas Moura blow out the candle on the cake.